Now that society has assumed a global focus, supported by technology, higher education institutions are asked to offer the highest quality education, especially technology skills and competencies, to a widely diverse audience at a cost that can be supported by society. Credentialing is a new concept in higher education advocated for use in the acknowledgement of coursework typically completed online. Credentialing provides a method of accrediting content knowledge rather than course credit for specific knowledge. The award of a credential has been an accepted form of authenticating the official completion of a higher education course of study. Credentials are often used in other forms of education. Yet, credentials have not been widely accepted for use in higher education because they do not fit the traditional model of awarding degrees for program of study completion. However, credentialing is now being examined for wider applications in higher education. Although digital technologies offer myriad access to learning; entree to education is still a necessity for economic success (DiStasio, Bol & Van de Werfhorst, 2016). As new technologies and traditional education paradigms have collided, credentialing paradigms have provided new options (Crotty, 2012; Halavais, 2012). Traditionally, academic credentials and professional certifications were awarded as students emerged from education and vocational/technical programs (Ledesma, 2011). However, validation of knowledge from online learning coursework does not have a common, broad-based credentialing platform (LeBlanc, 2012). Accreditation for online learning or Massive Open Online Coursework provides challenges for universities to accept and acknowledge as credited coursework (Lucas, 2013). To give credit for non-traditional credentials disrupts higher education’s traditional, formal educational processes for financial and educational accountability (Bass, 2012; Kaplan & Haenlein, 2016). 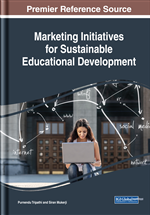 The challenge for post-secondary institutions is to look at online learning opportunities through the lens of reform or innovation, or as a marketing opportunity (Daniel, Kanwar, & Uvalic-Trumbic, 2009; Young, 2012a). Glazer’s (2009) prediction that 80 percent of new jobs created in the global driven economy will require advanced education, clearly necessitates that job applicants will need to have workforce ready skills (Eisenberg, 2011). Additionally, at each career change, further education, lifelong learning, will be required (US Department of Education, 2012). Online learning permits job seekers to determine the structure of their learning processes, choosing where, when, and how to learn (Gerstein & Friedman, 2016; Montford & Brown, 2012). Credentialing forces most post-secondary institutions to deal with governing bodies and accreditation agencies in different methods (Hickey, 2012; Sullivan, 2013; Werquin, 2010). Online learning presents new challenges: demonstration and evaluation of acquired skills (Goligoski, 2012). Online accomplished personal learning is an acknowledgement of participatory experience and a recognition of newly learned skills (Baker, 2011). The Mozilla Open Badges Project presents digital badges for recognition of learning that provide new methods for tracking online learning experiences (Carey, 2012b; Casilli, 2012b; Chow, Willis & Hickey, 2016). An i-credential has become both more important for work-related attainment and economic rewards, but an aberration to traditional higher education credentialing (Ellis, Nunn & Avella, 2016). Santos, Charleer, Parra, Klerks, Duval, and Verbert (2013) suggest use of digital badges is a motivating factor to encourage online learners. So questions surface in a period of credential evaluation: What are micro-credentials and what is their future? What are the real benefits of micro-credentials? Can they only acknowledge skills acquired or can they revolutionize the way education is defined and determined (Collins, 2011; Olneck, 2012; Rath, 2013)?